Your trusted CRM choice just got better! This new generation of Act! will offer the perfect integration of CRM and Marketing Automation along with dynamic Sales Pipeline Management and loads of enhancements to Act! 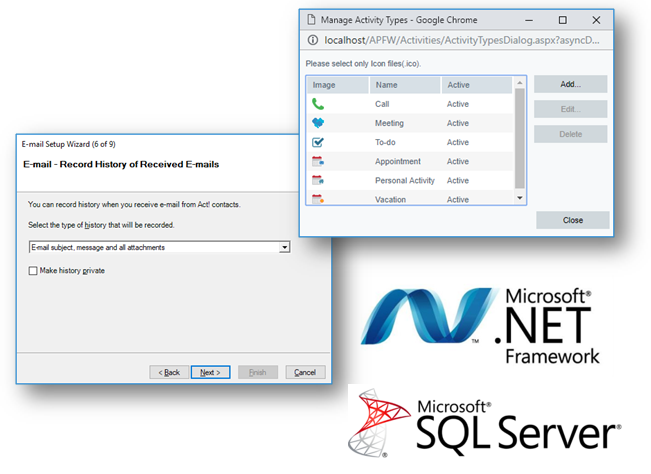 Insight, Custom Tables, Outlook integration, and so much more! Act! 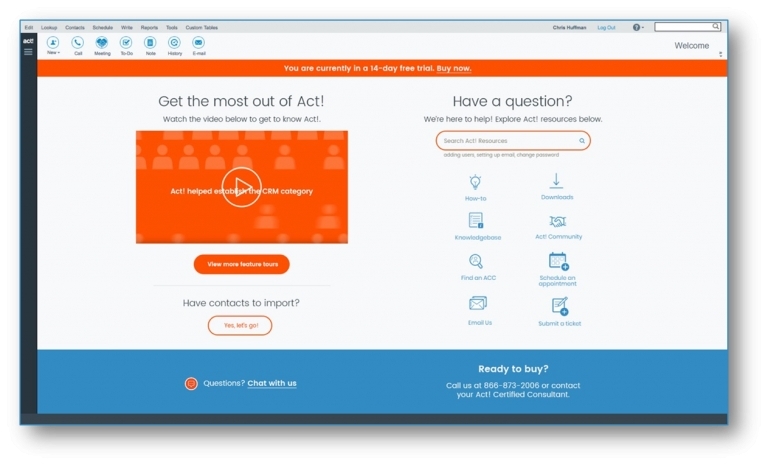 Marketing Automation (AMA) is a new feature built into Act! enabling you to automate workflow between your sales and marketing efforts. With a brand new comprehensive email marketing system, with advanced CRM workflow, lead capture and surveys, and campaign and customer insights, you will easily be able to prioritise follow-ups, automate sales tasks, and complete interaction history. Act! Premium subscriber feature. Additional plan required. 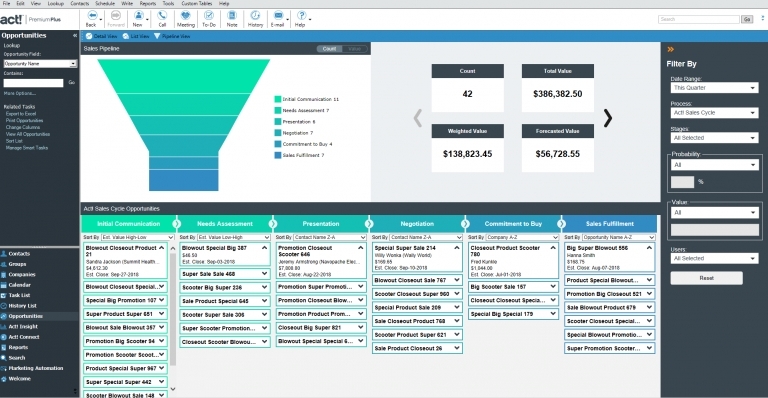 The new sales pipeline and opportunity views enable you to manage your sales pipeline more effectively and intelligently with interactive filter panels, in-context KPIs, drag-and-drop between sales stages and sales pipeline drill-throughs. Custom Tables were introduced in v20.1 and allow Act! 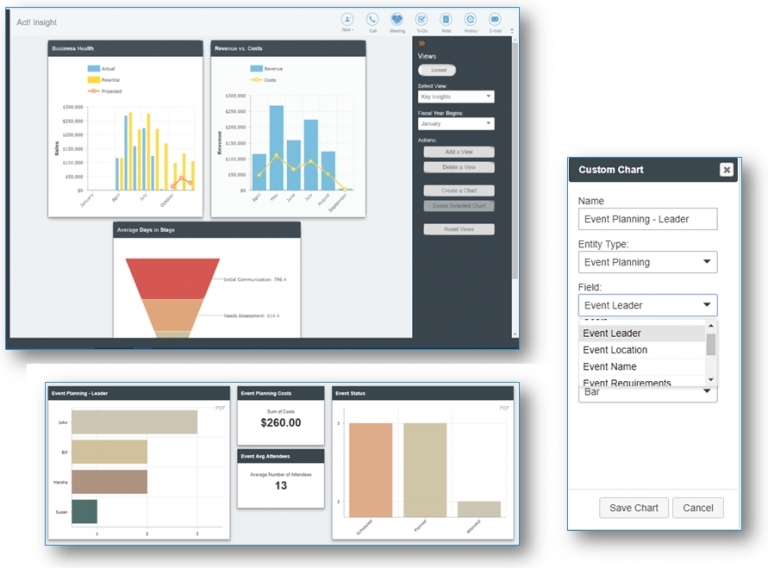 users to track even more data in spreadsheet-like tables within Act!. WIth v21, there are lots of new feature enhancements for Custom Tables. Create new insightful dashboards using the unique business or industry data you manage in Custom Tables. * Custom Tables features exclusive to Act! Premium Plus subscribers. Act! 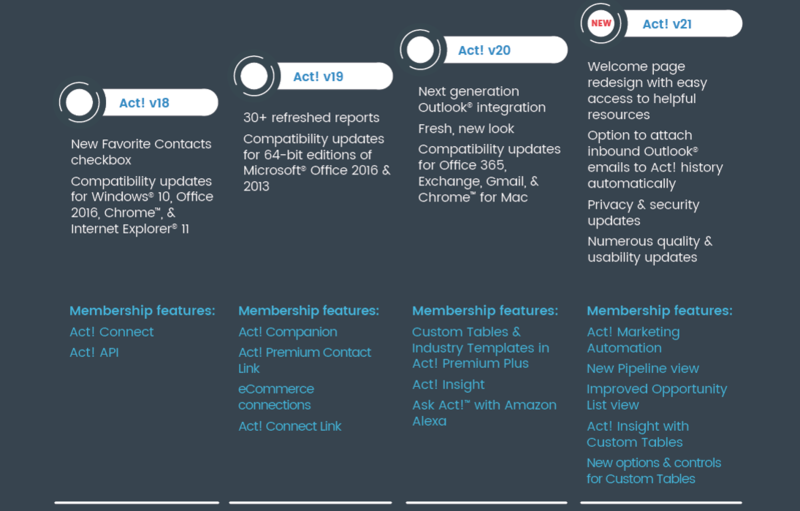 version 21 offers loads of feature enhancements that make Act! even better! With an Act! subscription you always have access to the newest feature and platform enhancements. Are you using an older version of Act!? Upgrade to the Next Generation of Act! and leverage the power of an ultimate small business toolset with Dynamic Sales Pipeline Management, powerful new Marketing Automation and and benefit from dozens of usability improvements that make Act! even better!